South and North Korea have been legally at war since the Korean War of 1950-1953, as neither party has signed a peace treaty. The 1953 Korean armistice agreement, however, provided for the suspension of open hostilities and a fixed demarcation line with a buffer zone. In an interview with the South China Morning Post, Kim Hong-gul, chairman of the Korean Council for Reconciliation and Cooperation, said that Pyongyang had expressed its disappointment over foot-dragging in signing an official declaration to end the 1950-1953 Korean War. "North Korean officials said they are frustrated about the delay and asked whether there is a valid reason for such slow progress," he said, citing Pyongyang's stance that it had made significant concessions to Seoul and expected reciprocal actions in return. Kim also said that North Korea initially wanted a peace treaty, but "they are now asking for an end-of-war declaration" to speed up the denuclearization process on the Korean Peninsula. In May, the press service of the South Korean presidential office reported that China and South Korea would cooperate closely in order to reach a permanent peace treaty between Seoul and Pyongyang. 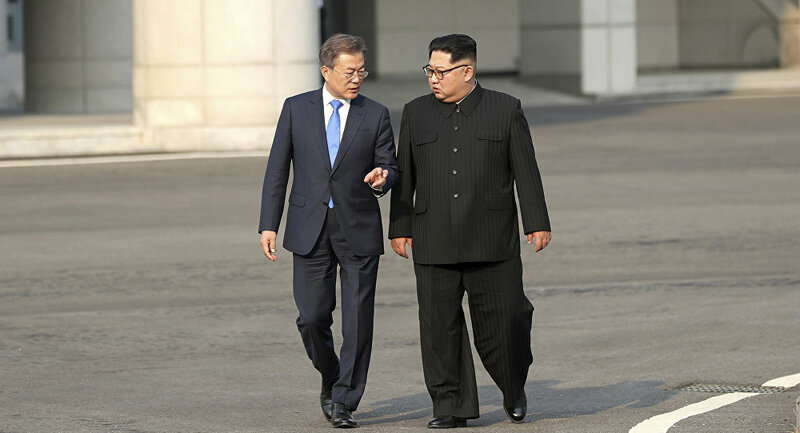 During high-level talks between South Korean President Moon Jae-in and his North Korean counterpart, Kim Jong-un, in late April, the sides pledged in the Panmunjom Declaration that they would work together through 2018 to officially end the Korean War, which was halted by the 1953 armistice agreement. The document stipulates that Seoul and Pyongyang should achieve this through either trilateral talks between the North, South and the US, or four-party talks including China. Earlier that month, South Korean President Moon Jae-in said that "we should put an end to the armistice that has lasted for 65 years and move toward signing a peace treaty through the declaration of the end of the war." 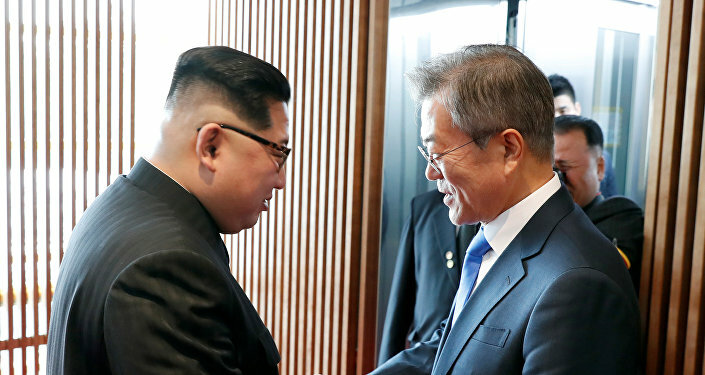 He was echoed by South Korean top security adviser Chung Eui-yong, who said that Seoul would potentially sign a peace treaty with North Korea if Pyongyang were to give up its nuclear weapons, formally putting an end to the Korean War. "We are examining the possibility of replacing the Korean armistice agreement with a peace treaty," he underscored. After the June 12 talks between US President Donald Trump and Kim Jong-un in Singapore, the two leaders signed an agreement envisaging North Korea denuclearizing in exchange for a freeze on US-South Korean military drills and potential sanctions relief. Pyongyang has repeatedly announced that it will no longer abide by the armistice and called for replacing it with a peace treaty, stressing that the 1953 agreement was meant to be a transitional measure.